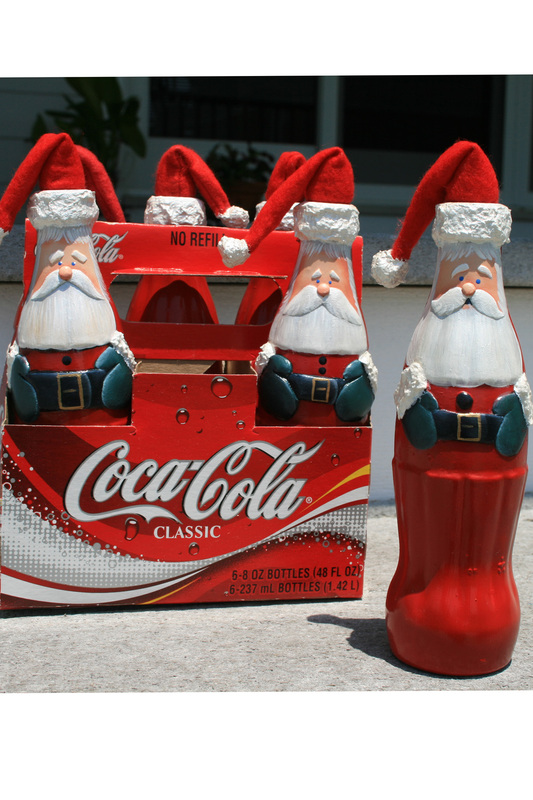 Once again the iconic shape of the Coca Cola bottle is transformed into a Santa Claus. I just love creating these little guys for the Christmas holiday. Merry Christmas! Thanks to all to that purchased my ornaments at the Vero Beach Florida Christmas in July festival!! Although it was a bit warm the holiday spirit was in full swing! !